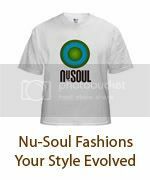 For all the Nu-Soul readers who are interested in going to this year’s International Soul Music Summit in Atlanta, GA. Sept 24-27, the ISMS has offered Nu-Soul a great opportunity to share with our friends, fans, and supporters. The 4th Annual International Soul Music Summit 2009 The largest music conference in the world dedicated to the independent soul Gene. Major Networking Opportunities with mainstream, emerging and independent soul artist, retailers, taste makers, consumers and executives all conveniently located in downtown Atlanta at the Renaissance Atlanta Hotel. Click the above banner to purchase your registration.